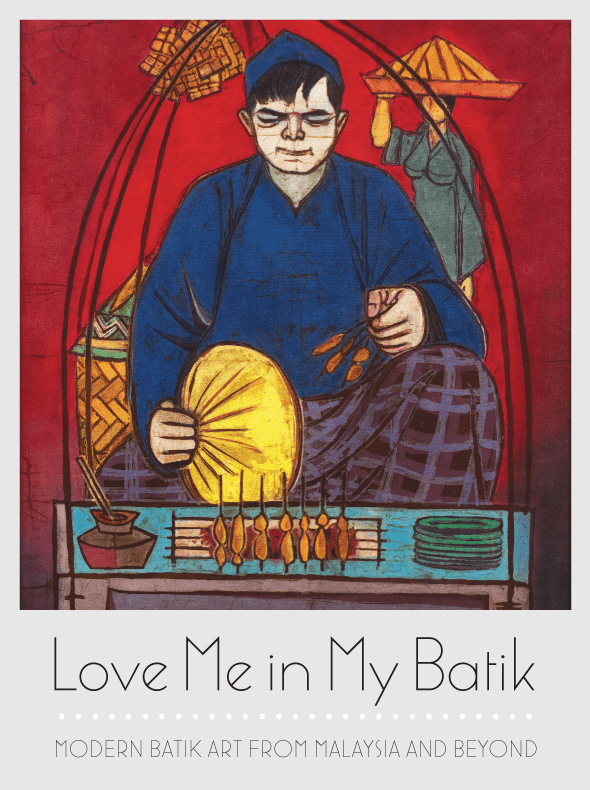 Love Me in My Batik tells the story of batik painting as a distinct modern art form in Malaysia and beyond, from its emergence in the 1950’s to the present day. Beginning with the pioneering batik paintings of Chuah Thean Teng, the exhibition examines how the medium was embraced and reinvented by generations of artists across successive periods in Malaysia’s post-war history. The exhibition takes its title from Joseph Tan’s 1968 collage work of the same name, a witty commentary on the cultural frenzy that batik inspired within Malaysia as the country searched for an artistic form that suited its modern identity. Love Me in My Batik examines two intersecting stories: the emergence of batik painting in the 1950’s and its active promotion as a fine art medium by a system of colonial patronage, and also the promotion of batik by the state into a popular cultural phenomenon from the 1960’s onwards, which included the development of a batik craft industry. The exhibition will also, as an additional point of comparison, introduce a small selection of contemporary batik artworks from Indonesian artists. The exhibition is realised in collaboration with really helpful and generous institutional and private lenders including National Visual Arts Gallery (Malaysia), Jabatan Muzium Malaysia, Muzium dan Galeri Tuanku Fauziah at Universiti Sains Malaysia, Yahong Gallery Penang, Batik Museum Penang, ARTS-Ed Penang, National Library of Malaysia, and many other equally supportive private collectors and initiatives.